In 2012 I became involved in the Byron Donalds Campaign for United States Congress in Southwest Florida’s Congressional District 19. It was a labor of love for our country and the principles of freedom and limited government that motivate Byron. 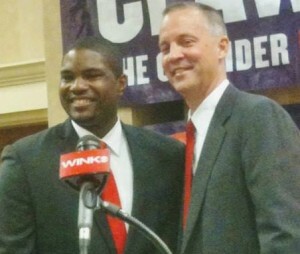 While his campaign fell short I was blessed to develop a friendship with Byron. Following Trey Radel’s resignation, who had won the election Byron was involved in, I hoped to find a candidate to support who shared Byron’s commitment to liberty, freedom and constitutionally limited government. Because of Byron’s strong showing in 2012, many were interested in his thoughts on Radel’s replacement. 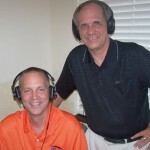 Among those interested was Curt Clawson, of whom I had heard, but never met. A few months ago, before Clawson’s now famous three point challenge to President Obama, Byron invited me to join him at a meeting he had scheduled with Curt at a Planet Smoothie. Byron told me this was Curt’s choice. I’d never been to a business built upon drinks of fruits and vitamins. The selection said something to me about the man who chose it. Byron and I sat at a table with our backs to the front door. A couple guys who came with Curt sat against the wall. Curt sat at the end of the table facing the door. As we talked Curt got up and went to the front door. Byron and I turned and saw a woman carrying a child in a car seat struggling with the door. Curt went over, opened the door and assisted the woman inside. He said nothing, came back, sat down and resumed our conversation. It was our first time together and we had a get to know you conversation that included politics and the US Constitution. As we talked, Curt got up again. The same woman was now walking toward the front door, with her child and Planet Smoothie order. Curt opened the door and helped the woman out. He came back, sat down and continued our conversation. Afterwards Byron and I compared thoughts about Curt. Byron’s final statement to me says something about both men I now proudly call my friends: “Perhaps the most important thing that happened today was that Curt helped that woman and didn’t think anything about it.” Byron’s insight into Curt speaks volumes. Curt helped someone who needed it, without a thought. That was a simple, yet revealing act. At that meeting, Curt expressed a desire to further discuss government philosophy, liberty, freedom and the Constitution. That was important to me. While folks are rightly concerned with policy details over taxes, education and Obamacare, I have always thought that the right guiding principles will result in proper policy decisions. I found in Curt philosophies like those that had led me to support Byron. Curt and I had many further discussions. We talked about the constitution and the state of our country. I learned his heart and the philosophy of freedom that would guide his decisions in Congress. Ultimately he appeared on my radio show, Constitutionally Speaking. On the air we discussed the constitutional responsibilities of a member of Congress. As the campaign progressed I observed Curt gather around him people I respected. I attended Byron’s public endorsement and that of the Tea Party Express. Curt put forth a solid economic plan, practical thoughts on approaching congressional duties and policy ideas consistent with the philosophies we discussed. I independently researched his education and business credentials and discovered his quiet philanthropy. I watched his honorable conduct during withering attacks by other candidates and interests from outside the district that included perhaps the most salacious and unfounded innuendo that a desperate opponent could conceive. The initial meeting had revealed, not by words, but by a simple act, a man who unconsciously helps someone he doesn’t know. The time I’ve spent with Curt, my independent research and observation of his conduct under fire confirmed not only the initial judgment, but showed much more: a competent, determined and principled man with the goal of using his life experience to assist not only a woman through a door, but our country through a trying time. 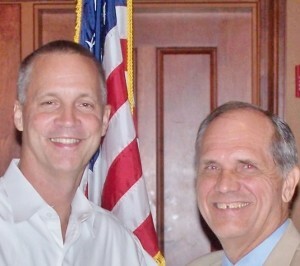 The people of Southwest Florida would be well served by having Curt Clawson in Congress, and they would be doing a service to our country by sending him there. On April 22, 2014, in the special primary election, Curt was selected as the Republican nominee for the special election on June 24th. His speech that evening was not just a message for Southwest Florida, but a model for a message to bring America together.